I love Ben Stiller, Vince Vaughn and Jonah Hill. These guys are funny. 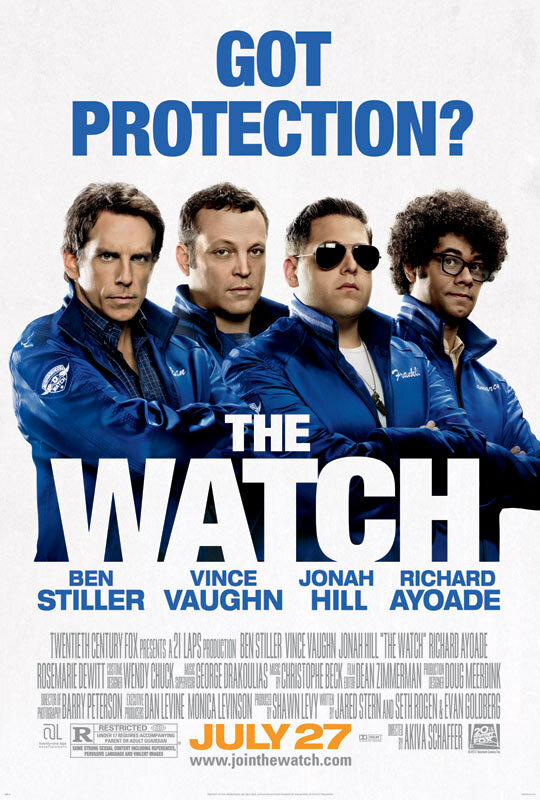 So why isn’t “The Watch” any good? Start with the silly premise: Suburban husband Stiller manages a Costco, where one his employees is murdered one night in a highly mysterious manner. The local police are morons, so this pushes Stiller to form his own neighborhood watch. The recruits? Vince Vaughn, Richard Ayoade and Jonah Hill of course. It’s difficult to describe the results because even the movie doesn’t know what it wants to be. Seth Rogen and writing partner Evan Goldberg wanted to have fun with the concept of an alien invasion, but their script is awfully incoherent and basically leads to nowhere. If you can’t take the heroes seriously, and the aliens are painted in the most ridiculous way possible, what’s left for an audience to hang onto? The answer, I suppose, is a series of jokes and some high-energy action scenes. But even those ingredients need some context in order to work and there is no reason on earth for it to take up an hour and 45 minutes. What saves it from completely going down the drain however is the likability of its stars, because let’s face it without them the movie would have been a total disaster. And because the film IS enjoyable at times, I have to wonder how much would have been lost if it had been toned down a bit. Notice I’ve never said “horrible”. I’ve seen worse films, and so have you. But after watching the picture for a while, I realized I was marking time, just waiting for it to be over. A mainstream comedy with attractive stars should be more than just a time-filler, shouldn’t it?